Luxetips Style! Affordable Style Via ChicWish « LUXETIPS! | Every Woman Deserves To Live The Luxe Life! Have you been getting fashion advice from Big Brother? Big Brother is always watching. Google tells me how long it takes to get home, suggests which apps to open and where. Based on the pages I open on one device, I get suggestions on where to shop on another device. It is both scary and annoying and admittedly… somewhat helpful. Big Brother’s latest suggestion for my habit- Chic Wish, an indie website devoted to selling boho-chic blouses and midi skirts. ChicWish has the most affordable, on-trend digs. It is “my new Modcloth” (if you don’t know the reference, just read the first 100 posts I wrote for LuxeTips on the affordable site that gets updates to its inventory on a nearly daily basis and even makes purchases based on fan votes.) ChicWish is no less trendy than Modcloth, offering similarly popular pieces at prices that make a girl smile. There are two highly popular looks that ChicWish has been promoting on both its Instagram and Pinterest feeds. 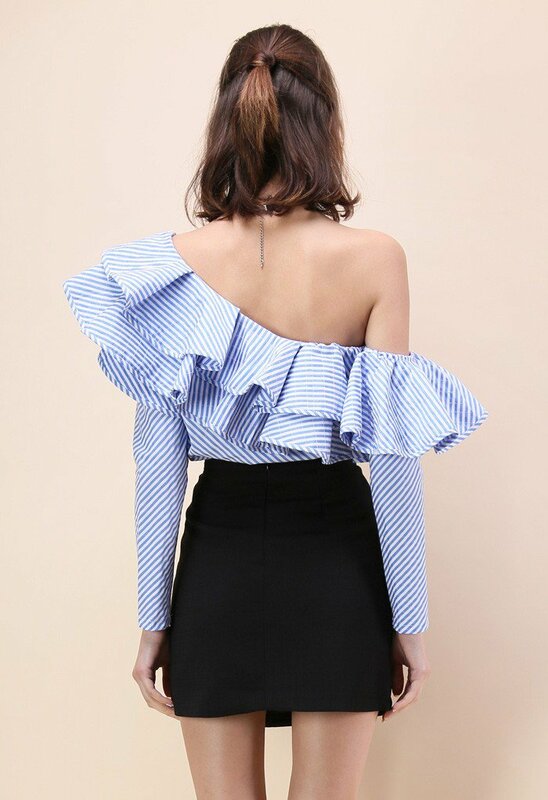 The first, a one-shoulder pinstripe number with ruffles running down the shoulder. It comes in blue stripe, pink stripe, and solid pink. 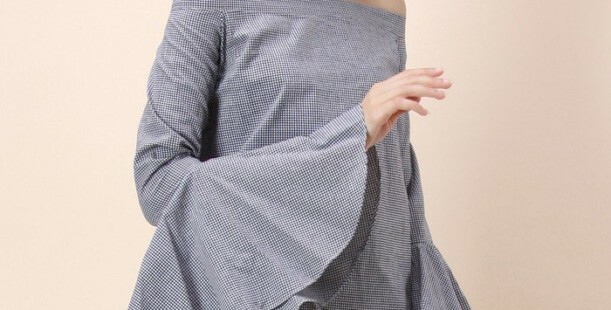 The second is a black gingham print off-shoulder, long-sleeved top with bell sleeves. 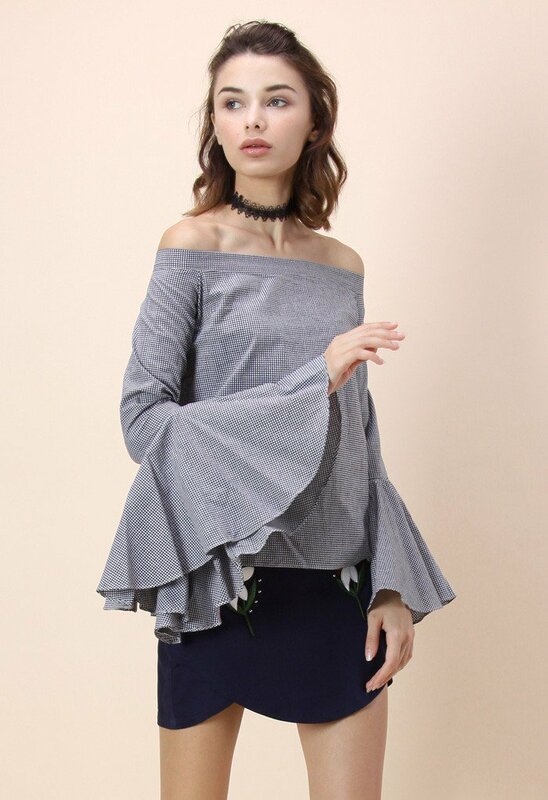 (Remember the Intermix blouse I shared a couple of weeks ago? Well, here’s your chic on-trend and much more affordable remix.) Both are statement tops that scream my name. You can find the Gingham Off-shoulder Top with Bell Sleeves and Swanky One-shoulder Ruffle Striped Top at Chic Wish for $ 42.42 and $54.32 respectively.